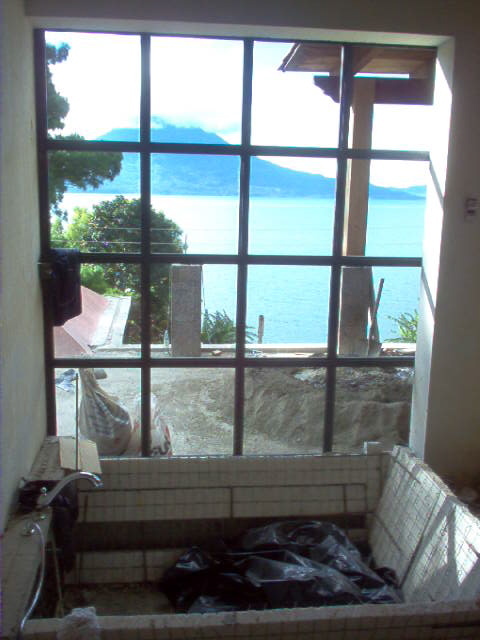 House Prana is the most ambitious project for Atitlan Solutions in Lake Atitlan, finished in 2005 it took 18 months to complete the project with the help of 60 workers at his highest time. 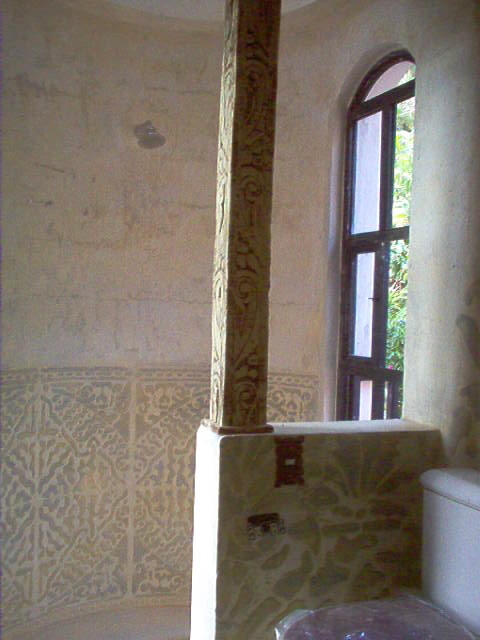 This house is made out of concrete cement blocks, pre-fab concrete slab, colonial cupulas, wooden roof with tiles. It is a great example of different building technics from the lava – stone columns and bench, concrete custom design floor, aging of the house through special painting technics, concrete counter top in the kitchen, custom build jacuzzi. In 2011 a swimming pool was adapted equipped with salt based purification system, all tiled in black, electrical water heating system.